General Motors Company Information Is this your company? Add your own content to this page. We currently have 36 open jobs at General Motors. 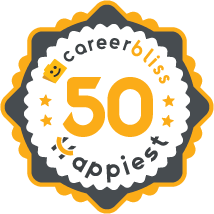 We've calculated that the average salary at General Motors is $65K based on 4,535 user-submitted salaries A total of 601 General Motors employees gave General Motors an average happiness rating of 4.0 out of 5.0. 82 Senior Manufacturing Engineers from General Motors submitted salaries. 4.9 I have been with GM for a short time because I was requested to work on a short term project, however during my time there I have found it to be a great working environment filled with intelligent hard working people and a great team atmosphere. I have tremendous respect for each of my peers and everyday I see the determination and drive in there work and it motivates me to perform at an even higher level. I have had the pleasure of working for several very intelligent and successful people. 3.9 I worked for GM Mexico for 12 years. It's a good place to work, has great facilities, tools, resources and technology to do your work. The GM Employee has good economic benefits. The environment work is multicultural, which gives a great opportunity to know other cultures and travel. Also there are great opportunities to change of responsability in case you feel you can make better or expand your expertise in other area. In GMM always there is something to do or learn. Just move out of the USA and go to your new big brother--CHINA. General Motors (GM) Company is a major public automotive company that primarily outputs automobiles and financial services. It’s a worldwide effort to create the most quality automobiles and help customers carry out their financial needs as well. Their vision is to engage talented employees and empower them to sell some of the best vehicles in the world. Their brand is well-known across 6 continents and their employees speak over 50 languages. General Motors has more than 200,000 employees all over the world in 70 countries. General Motors offers a chance for professionals to exude and excel their potential with a General Motors career. Working at General Motors means working at a company that is driven by passion to provide the best possible services in the automotive industry. Check out our jobs page to learn more about how you can jump start a General Motors career.